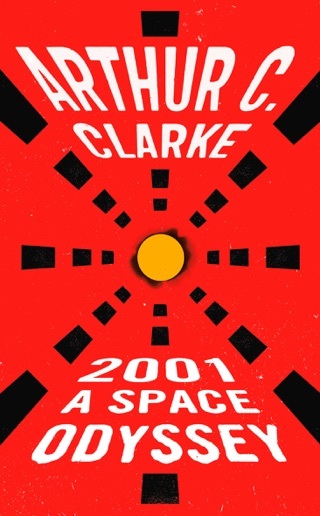 The Firstborn–the mysterious race of aliens who first became known to science fiction fans as the builders of the iconic black monolith in 2001: A Space Odyssey–have inhabited legendary master of science fiction Sir Arthur C. Clarke’s writing for decades. 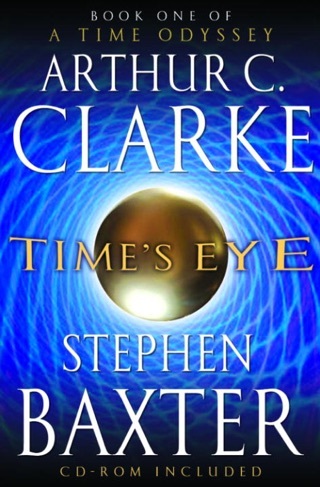 With Time’s Eye and Sunstorm, the first two books in their acclaimed Time Odyssey series, Clarke and his brilliant co-author Stephen Baxter imagined a near-future in which the Firstborn seek to stop the advance of human civilization by employing a technology indistinguishable from magic. Their first act was the Discontinuity, in which Earth was carved into sections from different eras of history, restitched into a patchwork world, and renamed Mir. Mir’s inhabitants included such notables as Alexander the Great, Genghis Khan, and United Nations peacekeeper Bisesa Dutt. For reasons unknown to her, Bisesa entered into communication with an alien artifact of inscrutable purpose and godlike power–a power that eventually returned her to Earth. There, she played an instrumental role in humanity’s race against time to stop a doomsday event: a massive solar storm triggered by the alien Firstborn designed to eradicate all life from the planet. That fate was averted at an inconceivable price. Now, twenty-seven years later, the Firstborn are back. 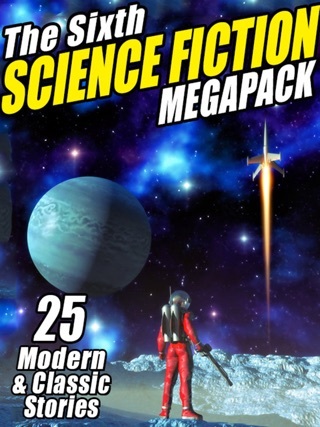 This time, they are pulling no punches: They have sent a “quantum bomb.” Speeding toward Earth, it is a device that human scientists can barely comprehend, that cannot be stopped or destroyed–and one that will obliterate Earth. Bisesa’s desperate quest for answers sends her first to Mars and then to Mir, which is itself threatened with extinction. The end seems inevitable. But as shocking new insights emerge into the nature of the Firstborn and their chilling plans for mankind, an unexpected ally appears from light-years away. 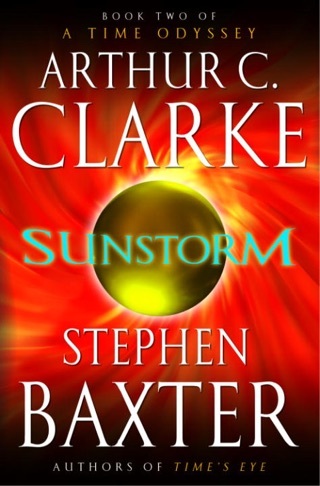 Though supposedly the last volume of Clarke and Baxter s Time Odyssey series (after 2005 s Sunstorm), this intriguing and frustrating installment of the high-octane space opera ends with an astounding cliffhanger just as humans have begun to confront the ancient and super-powerful Firstborn, who attack any species that might become a rival. Having barely survived a Firstborn-created solar flare, Earth now must cope with a meteor bomb approaching from deep space. Tensions rise between secretive, paranoid forces on Earth and equally suspicious groups among the Spacers, whose identification with humanity s home is waning. Meanwhile, in a pocket universe created by the Firstborn for some inscrutable purpose, slices from different Terran eons nervously adjust to each other. The narrative leaps about too much to develop characters, but Clarke has never been as interested in individuals as in humanity s ability to accept change as a species. It s too early to tell whether that theme will be enough to carry the story to a coherent conclusion. I've written reviews for the first two books in this series. The first was the best. #2 and 3 are not as good, IMO, but still worth reading. Production values on this entire series are excellent, the narrator does an excellent job, except for the fact that he has an strange mispronunciation of "Phaeton" and in this book, it seems like every wheeled vehicle is a "Phaeton". May drive you slightly insane. 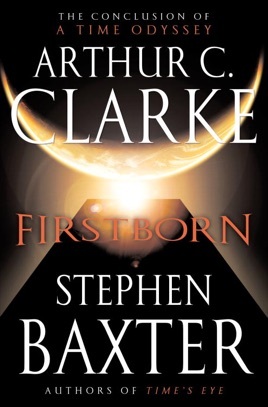 "Firstborn" is by far the weakest book in this trilogy. 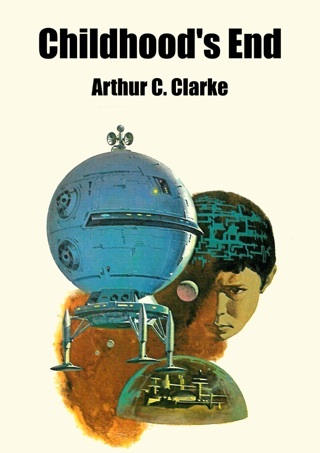 ACC is, IMO, always fun to read and is better at his worst than most SF authors are at their best. The problems are conceptual and narrative. The conceptual: A thing is coming toward Earth. Shades of "Rama". 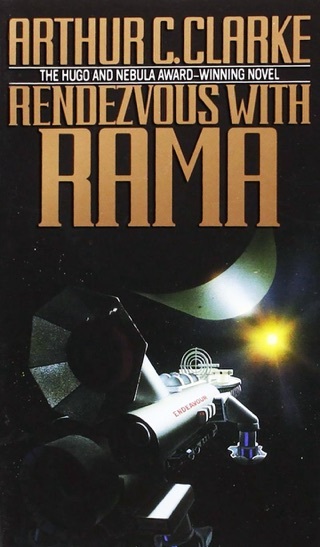 In "Rama", the author is writing about a "ship", so the narative calls it a ship and the characters call it a ship. In "Firstborn" the author has decided the thing is a "bomb", not a "ship", so the narrative and the characters treat it as a "bomb". Very convenient. I found it jarring to the story. This "bomb" comes from the hyper-advanced and uber-intelligent Firstborn, but is a very stupid bomb that can be deflected and, even though the firstborn have perfected instantaneous travel between universes, they apparently cannot communicate with or even guide their "bomb". Ok. The narrative: Lots of weird continuity stuff. The last thing that happened in the last book is the protagonist went to the opening of a space elevator. The first thing that happens in this book is the protagonist has to have a space elevator explained to her. Ok. Characters spend quite a bit of time recounting things to each other that all of them already know, in case a reader is joining late. Lots of ideas are thrown up against the wall, but don't stick, like the foot expedition to the pole of Mars. Also, in the world of ACC, people appear to inherit accents biologically, like hair color and height. If a person has a Russian mother and an Irish father, the author specifically calls his accent a Russian/Irish hybrid, and the poor voice actor has to try to make it happen. The results are somtimes laughable, but I give the voice actor points for trying. So, out of the three books, this one is the biggest mess, but I still enjoyed it and after the other two, you do have to know what happens. I still give it 4 stars.